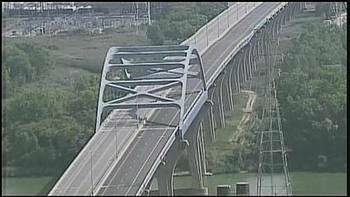 Reported by Fox 11 News in Green Bay, Wis.
GREEN BAY - New support for the Leo Frigo Bridge is on the way. The Department of Transportation will begin work Monday (Oct. 14) to install steel truss towers on either side of the bridge's settled pier. DOT officials say the work will take about three weeks.